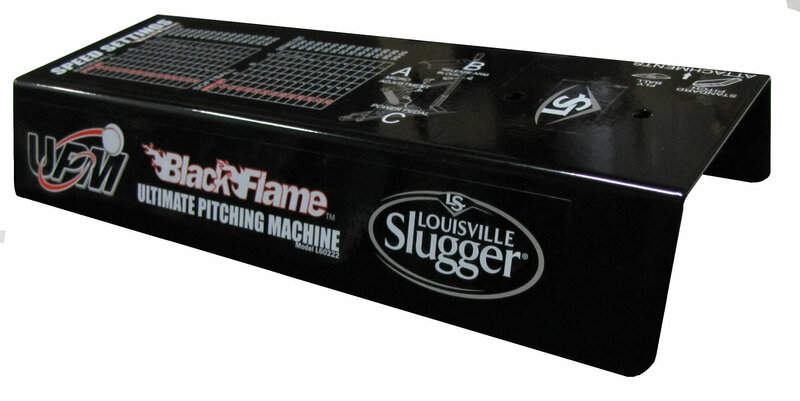 Replacement Ball Shield part for the Ultimate Pitching Machine Black Flame and UPM 50. This is a ball shield replacement part for the Black Flame Pitching Machine also known as the UPM 50. It goes on top of the Release Handle and is held on by two screws. This is a authentic manufactured part. The color is black.